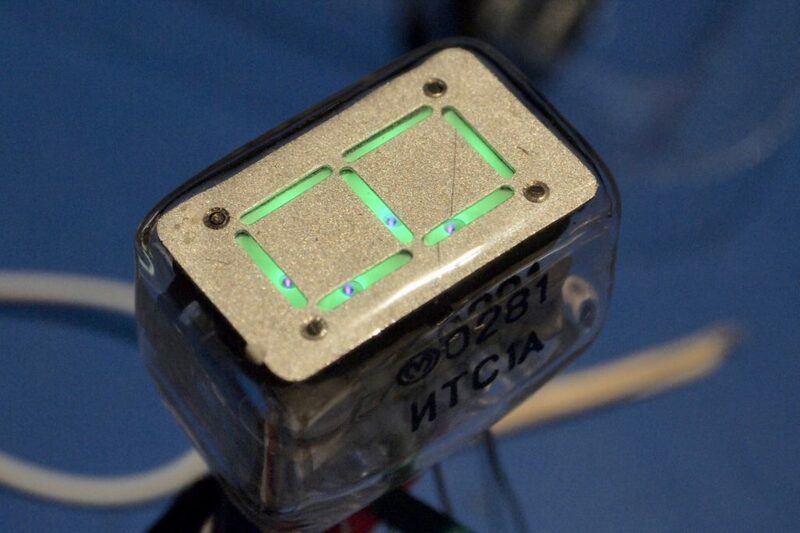 You can clearly see the detail of how the phosphor is activated. What I haven’t been able to do is to control which segments are on an which are off! It is clearly something to do with grid two, but I haven’t been able to figure it out yet. I have been meaning to get some ITS1A thyratron display tubes for some time, and finally bought some a few weeks ago. 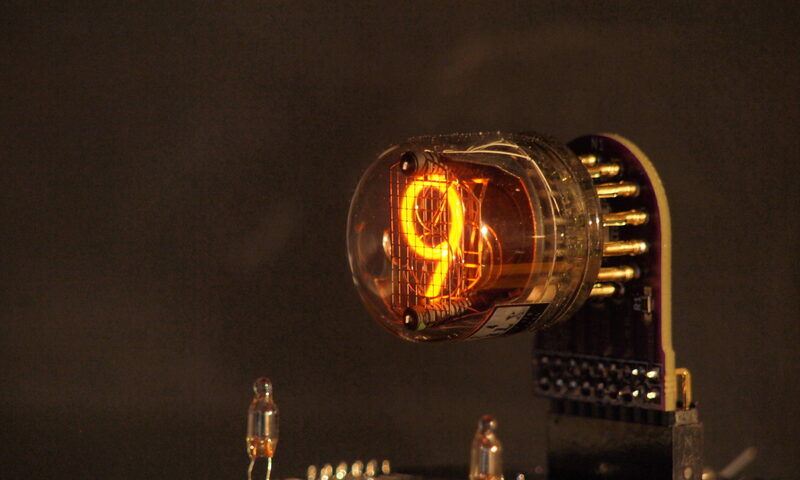 These are a seven segment display tube that looks a little like a VFD tube when on – they use the same phosphor – but they are driven entirely differently. 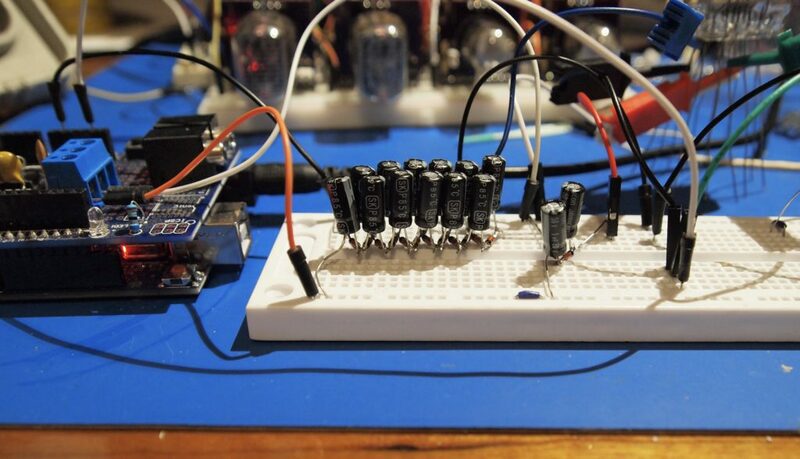 Although they can be controlled with logic-level signals (roughly 1V to 5V), they require a bizarre set of voltages to actually activate them. The data sheet specifies around 40V, 100V and -240V. Others have apparently driven them with 50V, 100V and -300V. Yes, that’s right, that is minus 300V. 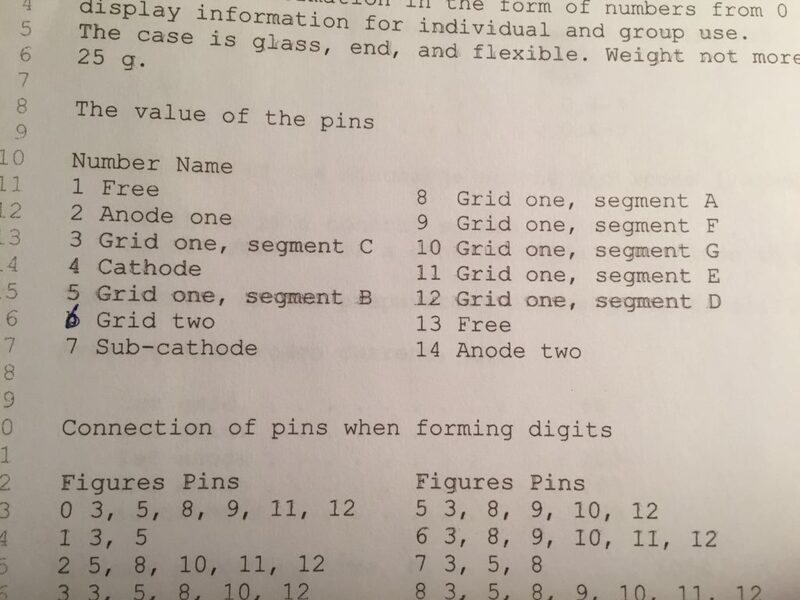 The part numbers for the diodes are just examples. I haven’t actually chosen them yet. Both the diodes and the capacitors in the ladder need to be able to handle over 100V. 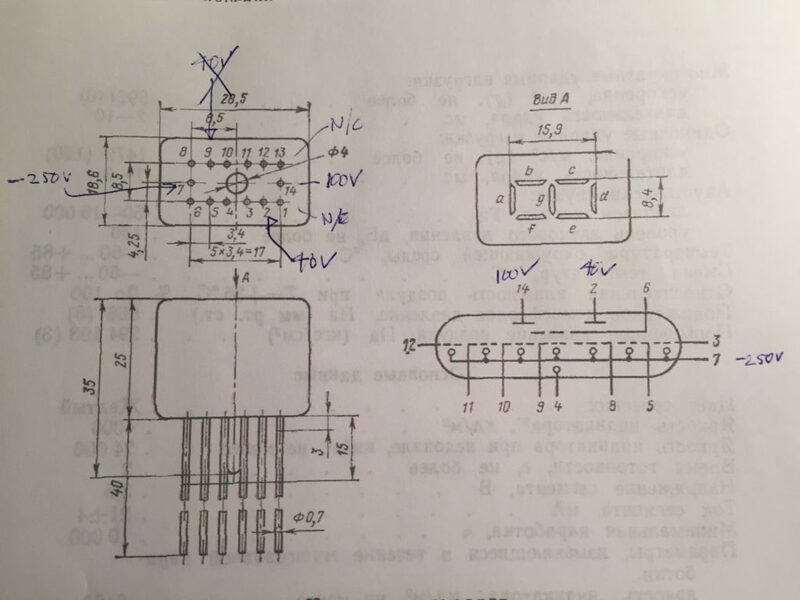 The capacitors should be low ESR types. The inductor needs to be able to handle the expected current, though I haven;t figured out what that is yet. However my aim with this is to just be able to test that the tubes work, and maybe have a little fun with them. An actual clock will come later. 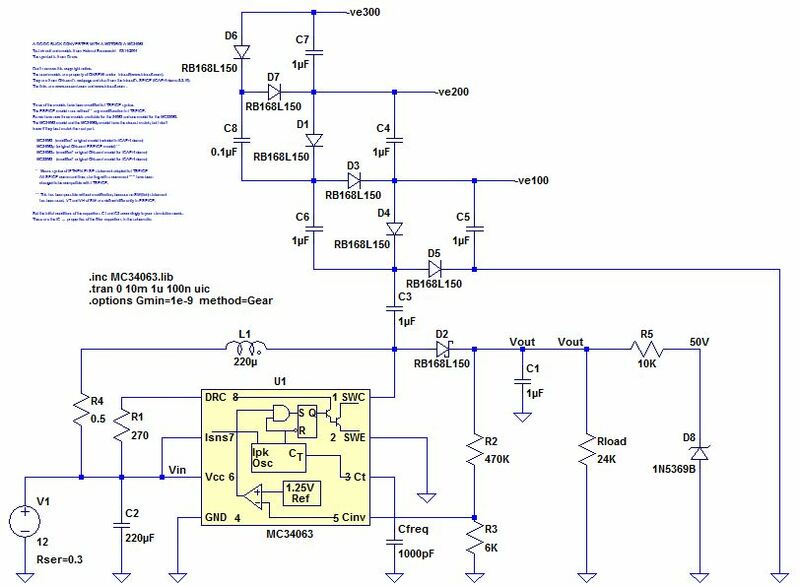 ESP32: A solution looking for a problem?